Application deadline March 15, 2019, at the end of that day. They currently include a 2018 workshop schedule which has links to the materials for that year’s workshop. This workshop has been given yearly since 2011. Since 2017 it has been given at the Friday Harbor Laboratories of the University of Washington, on San Juan Island. 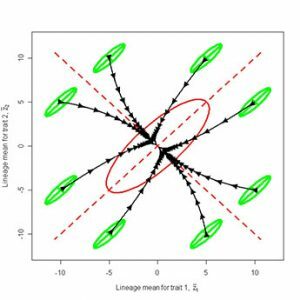 The workshop will review the basics of theory in the field of evolutionary quantitative genetics and its connections to evolution observed at various time scales. One aim of the workshop is to build a bridge between the traditionally separate disciplines of quantitative genetics and comparative methods. 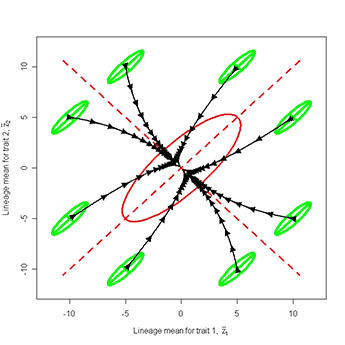 Quantitative genetic theory for natural populations was developed considerably in the period from 1970 to 1990 and up to the present, and it has been applied to a wide range of phenomena including the evolution of differences between the sexes, sexual preferences, life history traits, plasticity of traits, as well as the evolution of body size and other morphological measurements. Phylogenetic approaches to comparative biology were developed in the 1980s and 1990s, including inferring how traits covary in evolution and how optimum values of traits vary between species. Textbooks have not kept pace with these developments, and currently few universities offer courses on these subjects aimed at evolutionary biologists. Evolutionary biologists need to understand this field because of the ability to collect large amounts of data by computer, the development of statistical methods for changes of traits on evolutionary trees and for changes in a single species through time, and the realization that quantitative characters will not soon be fully explained by genomics. This workshop aims to fill this need by reviewing basic aspects of theory and illustrating how that theory can be tested with data, both from single species and from multiple-species phylogenies. Participants will use R, an open-source statistical programming language, to build and test evolutionary models. The workshop involves lectures and in-class computer exercises. You can consult the 2018 workshop website for examples, using the links found at the 2018 schedule mentioned above. and the Society for the Study of Evolution. check will be provided once the applicant has been admitted to attend. given to those registering earliest).